• For the summer Nike Air Max 1 releases have been subtle colorway choices that were considerably safe and never leaning over the edge. We can safely assume that Nike’s plans for the Fall are a complete 180° turn and will be supplying our Fall/Winter streets with unique color patterns and choices. 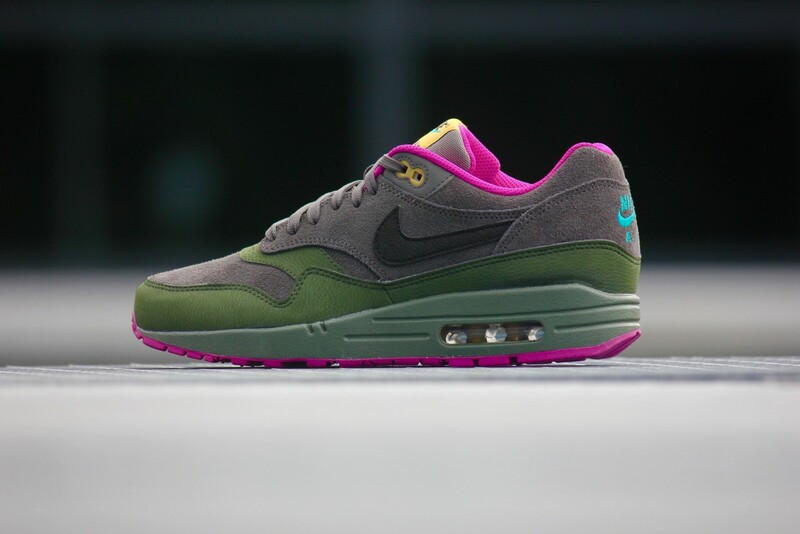 Their first introduction to this is with the release of the upcoming Air Max 1 “Dark Pewter”, which collides fuchsia with olive and teal with pewter. Furnished with a suede and premium leather upper, a mixed bag of hues decorate the shoe. 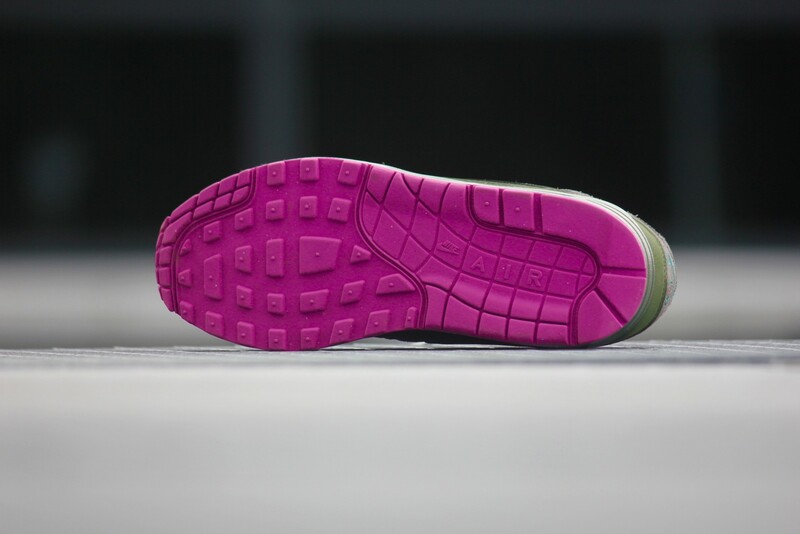 Pewter & Olive dominate with hints of fuchsia seen on the outsole and sockliner. Teal makes it’s appearance on the Nike heel and tongue branding, with orange accents on the tag itself and upper eyelet. The legendary sneaker has seen some unconventional patterns, but this “Dark Pewter” pack is one that is easily mesh-able with most closets. The dark meets the light in a chic manner that graces the Nike brand with yet another great release. Our friends at the Sneaker District have these new releases available for $147. Grab Your Pair …. Or I Will! GET YOUR PAIR NOW AND ENJOY A FEW LOOKS BELOW!